Streatham has always been a great place to live and work and new developments such as the Streatham Hub with new swimming pool and ice rink can only make things better. Vale Vets has been serving pets in Streatham for 40 years and David Salisbury Jones has worked here for 25 years now. It is now easier to get into Streatham Vale because all the through traffic has gone elsewhere. You should either come down Mitcham Lane and along Eardley Rd or take Glencairn Road off Streatham High Rd, under the Railway Bridge and right onto Sherwood Avenue. New yellow lines and one way streets mean the traffic is minimal and Streatham Vale is now a quiet road to park and shop. Vale Vets benefits from excellent free on street parking outside the surgery (avoid the zebra crossing zigzags), on Woodmansterne Road, or to the side on Farmhouse Road – approached via Abercairn and Granton Roads. This is perfect for long stay visits so why not drop by for a check up? With extensive experience in providing pets with everything they need for a long and healthy lifestyle, we offer a range of services designed to help your pets get the very best out of life. We offer support and assistance for pets both young and old, offering everything from regular checkups to worm treatment to cough vaccinations and more. Our first class pet care plan acts as insurance for cats, dogs and rabbits and comes with a number of benefits should you see us regularly. Our pet care plan offers a number of free treatments including free regular checkups and vaccinations plus an extra 10% discount on any additional treatments. Are you introducing a new puppy or kitten into the household? We provide the initial checkups as well as offering professional advice as to how you can introduce them into a new environment to make that initial transition a little easier. For a full list of the services we provide to clients living in Streatham and the surrounding area, please get in touch with us today. You can also find out more detailed information about the treatments offered on our Services Page. 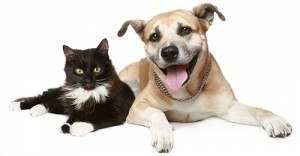 If you are looking for experienced, friendly vets in Streatham, be sure to get in touch with Vale Vets today. We focus on building long lasting relationships with all our clients and their pets in order to make sure that they live long and healthy lives. With ample kennel space and spacious reception rooms and meeting rooms, we have everything available to hand to give your pets the professional level of care that they need. Get in touch by calling 0208 679 6969 and by speaking to a member of our expert team, or email us your queries to info@valevets.com where we will get back to you. We look forward to hearing from you.